The education sector has a key role to play in child abuse protection and prevention. Child protection procedures for schools is paramount and failure to adhere to these is serious. In particular teachers are mandated reporters of suspected child abuse, which means they have a legal obligation to report any suspicion of maltreatment. Reporting child abuse can be daunting for teachers, there are many reasons for teachers to be hesitant - perhaps they are worried about causing them more trouble. Maybe they are hesitant to incriminate parents or disturb a cohesive family arrangement. However, your ultimate obligation as a teacher is to the children in your care. The Safe Children Conference is run by CAPS (Child Abuse Protection Service) a non-religious, non-political, non-government benevolent organisation. It arms delegates with tools to create a safe child environment as well as Government updates and the latest information from The Children’s Guardian, The National Office for Child Safety and Child Wise. 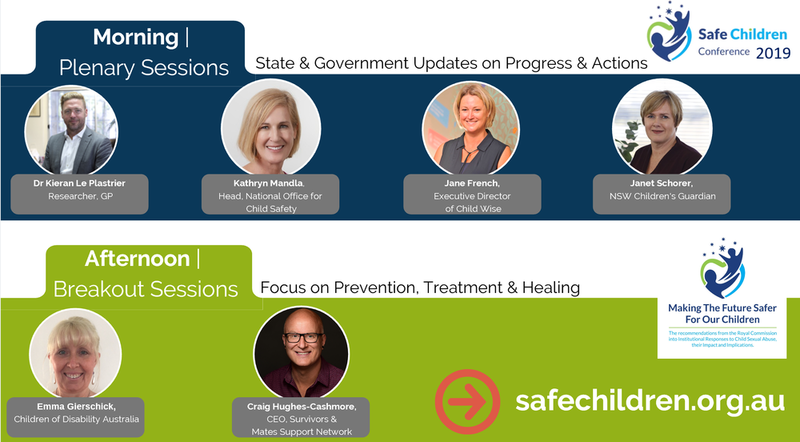 If you are participating in continuing education, the Safe Children Conference supports this by awarding delegates with six live contact hours.